Running a travel business can be highly rewarding until you try to set up a merchant account. Many banks see travel as a high risk industry and are skeptical to partner with agencies. You may hear “no” more often than “yes” which can put a strain on your business hinder your ability to make a profit. However, there is a light at the end of the tunnel. At MerchACT, we say yes to travel businesses because we understand that in order for you to grow, you need the right payment processing solution: our processing solution. We will have your business accepting payment online to allow you to maximize your sales and tap into international markets that otherwise wouldn’t be available. 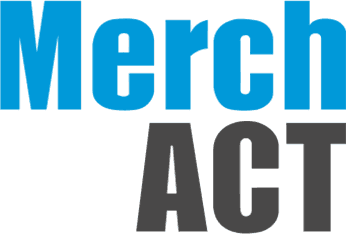 MerchACT has been in operation for almost 15 years. During this time we have cultivated relationships with the world’s biggest and best merchant banks to ensure that businesses like yours are able to accept online payments. When you setup your merchant account with us, we value your company and treat you like a partner instead of an account number. We want your business to succeed because that’s how we succeed. By providing reliable merchant account services to businesses in the travel industry, we can guarantee that all parties involved are successful. Our competitive and affordable fees for travel merchant account processing allows you to keep your overhead low so you can focus on your business while we take care of your online transactions. The travel industry is quite broad; however, we do our best to cover all facets. We work with travel agencies, online travel booking sites, vacation home rentals, timeshare related businesses, hotel reservations and online airline booking. In order to really make a name for your business and, of course, turn a profit, you need to accept multi-currencies through your online payment gateway. Luckily with MerchACT, our secure processing solutions are able to accept and support multiple currencies letting you take advantage of the market away from home. We’ve served the international travel industry for many years by providing proficient merchant accounts services for businesses of all sizes no matter where they are in the world. When you partner with us, we help you take advantage of both local and international clients, because that’s really what the travel industry is all about. As a company we value transparency, honesty and accountability. Our secure transaction portals are managed in-house to assure that problems with fraud and chargebacks are addressed right away should they occur. Moreover, our PCI compliant gateway allows for ongoing support so you can let us take care of everything related to your account while you focus on growing your travel business. Our fast, reliable and convenient payment processors are designed to accept online transactions whenever and wherever. Contact us today for your free quote and application.